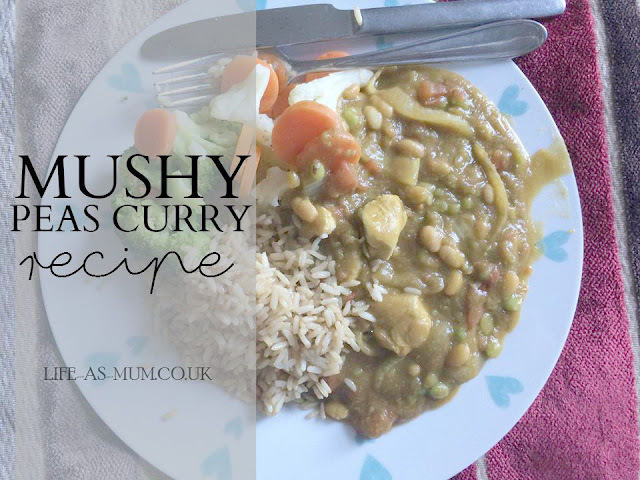 I recently made Mushy Pea curry. Whilst I was mixing all the ingredients, I wasn't really looking forward to it, it didn't look nice. The thoughts of the ingredients put in wasn't nice. Once I tried it, I was shocked, it was absolutely lovely. In fact, this will be a recipe I will be cooking quite often in the kitchen. You may have read one of my recent posts, telling you all about how motivated and determined I am feeling at the minute. I have been waiting for this feeling for months. Finally it has come back. I am interested in trying all kinds of new recipes, so if you have any, feel free to leave in the comments. After frying, add to new pan. Add mushy peas, beans, tomatoes and stock cube. Mix until all cooked and very hot. Enjoy with rice, vegetables or anything you fancy.